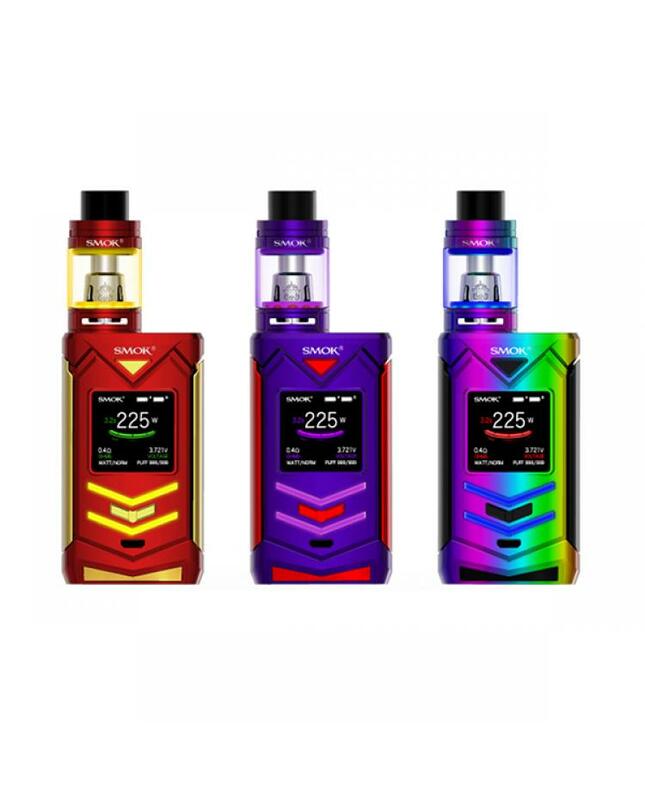 Smok Veneno is the newest sub ohm vape kit, the new smoktech vape kit has 5 colors available, include Veneno box mod and TFV8 big baby light tank. 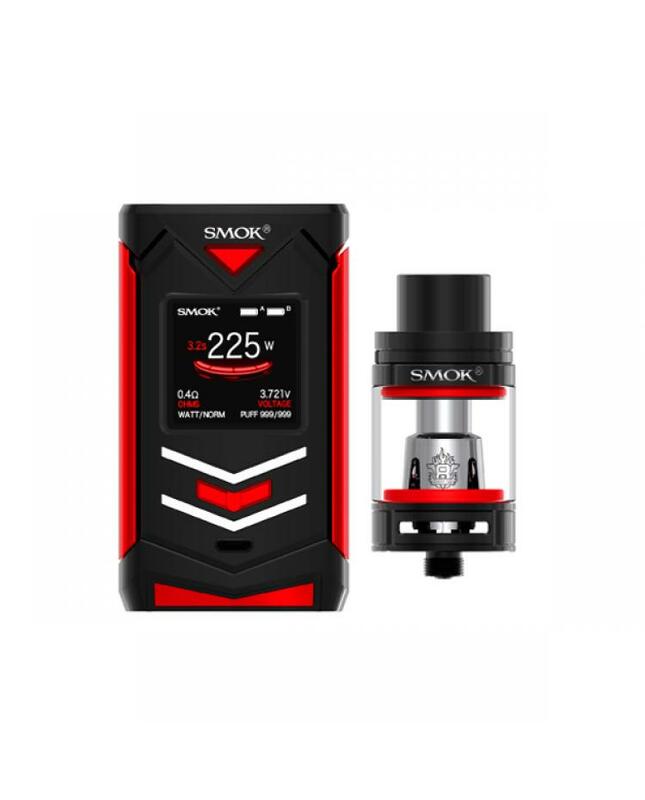 the Veneno mod with smooth curved lines, which makes the whole mode looks like an unbreakable supercar, the smoktech Veneno with high definition OLED screen, will show the vaping data to you clearly, like working modes, vaping effect, voltage, battery life, and resistance value etc. there are two LED lights in the front panel and five in the back panel. both of them have 12 colors available, you can choose your favorite one to enrich your vaping experience. the lateral big fire key is ergonomically designed which makes it comfortable to hold and simply press to power on/fire. the Veneno mod powered by 2pcs 18650 batteries and max output 225watts, supports resistance as low as 0.05ohm under temp control mode. three different working modes selectable, temp mode can enhance the consistency and taste of every puff, watt mode is perfect for cloud chasing. memory mode can be your intelligent vaping partner. the Veneno provides multiple types of protections to avoid potential risks. the TFV8 big baby light tank can hold 5ml e juice after installed the bulb pyrex glass tank, it can hold max 7ml e juice. convenient top refill and bottom airflow adjustable design, the TFV8 big baby tank have six different cores optional, will produce a large cloud of vapor or better taste of flavor. if you want to get more fun of vape, smoktech also provide the RBA deck, so vapers can DIY the coils by yourself. 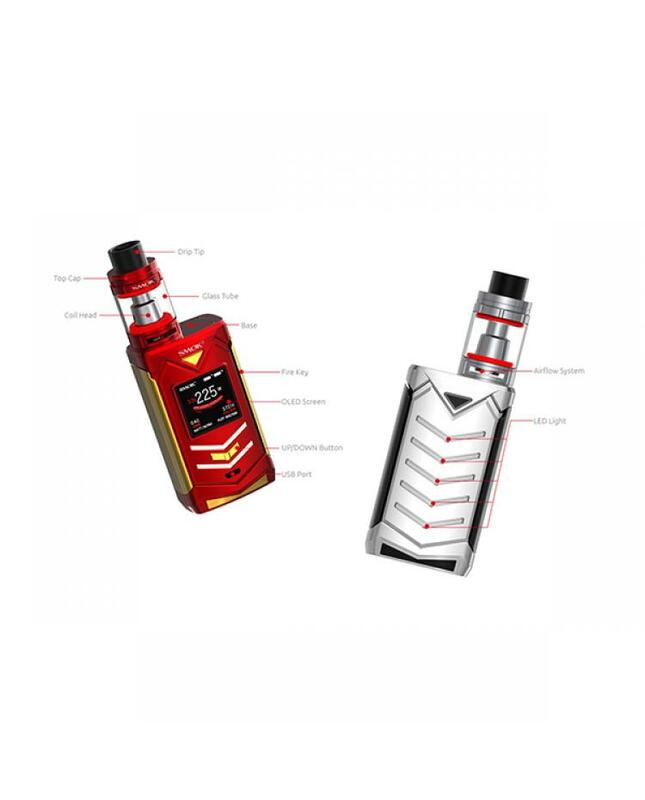 the innovative design of the Veneno kit keeps changing the vaping experience.